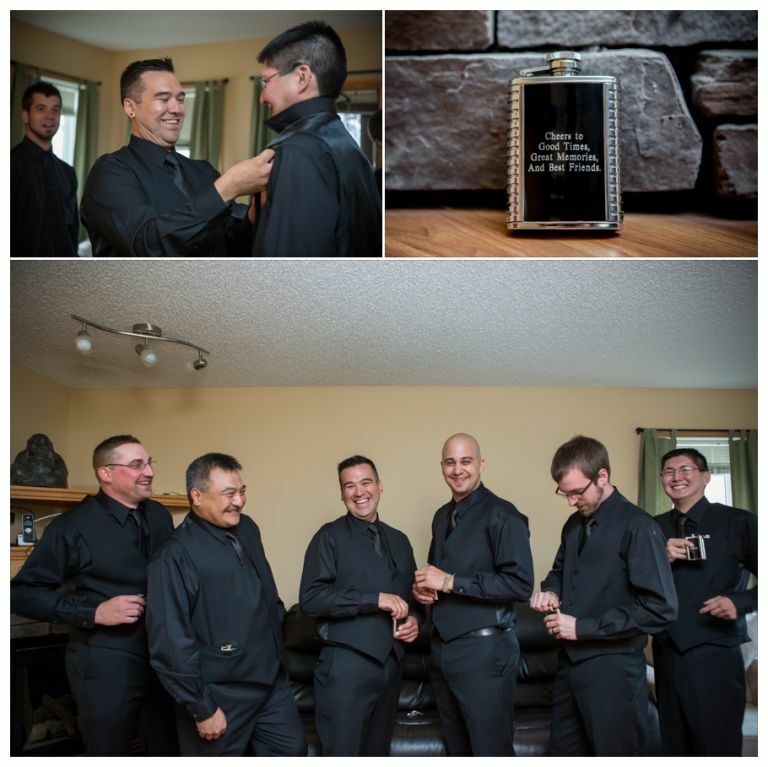 It was supposed to be an outdoor affair in Red Deer but torrential rain and Â hurricane force winds resulted in a change of plans for Kim & Conrad’s wedding in Red Deer. But the rain and wind didn’t dampen the couple’s spirit as friends and family gathered at the Black Knight Inn in Red Deer to celebrate their union. 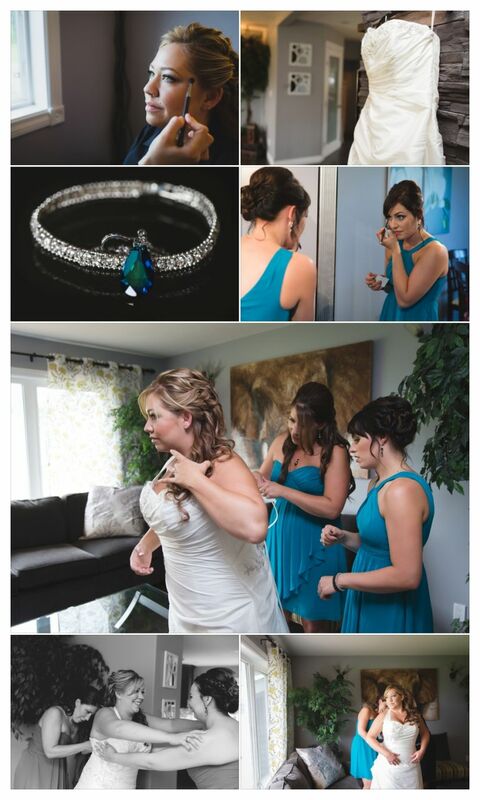 Kim & Conrad were introduced to us by fellow photographer Tom Lim and we were thrilled to photograph their special day which started out at Crystal Orchid Hair Design with the girls getting ready. Afterward, Sarah headed over to get a few shots of the guys getting dressed. 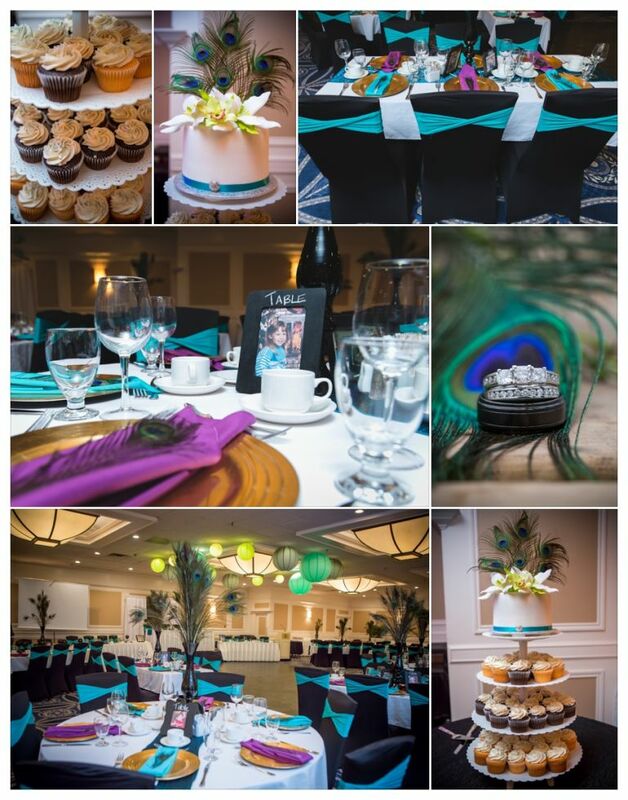 While all of this was happening, Kim & Conrad’s amazing wedding planner Lori from Crystal Orchid Weddings, was busy transforming one of the conference rooms at the Black Knight Inn into a beautiful room for their ceremony. Originally they had planned to have their ceremony in a park in downtown Red Deer but a nasty summer storm hit overnight. Brides – this is exactly the reason you should always have a Plan B if you’re planning to have an outdoor wedding in Alberta at any time of year. After their ceremony, the weather was still pretty bad so we made our way over to Dentoom’s Greenhouse for photographs with the bridal party. 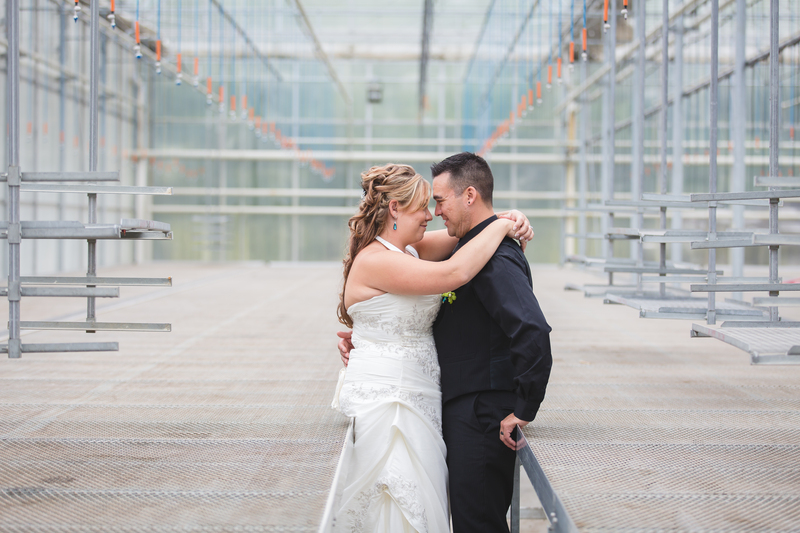 Special thanks to Rebecca & her mom for allowing us to take shelter from the storm in your beautiful greenhouse. Once we were done photographing the happy couple and their bridal party, we headed back to the Black Knight Inn for their reception. Lori did an amazing job with the decor and the room looked amazing. We particularly loved the table markers that Kim & Conrad chose which featured photographs of them at different ages based upon the table number. Such a cute idea! 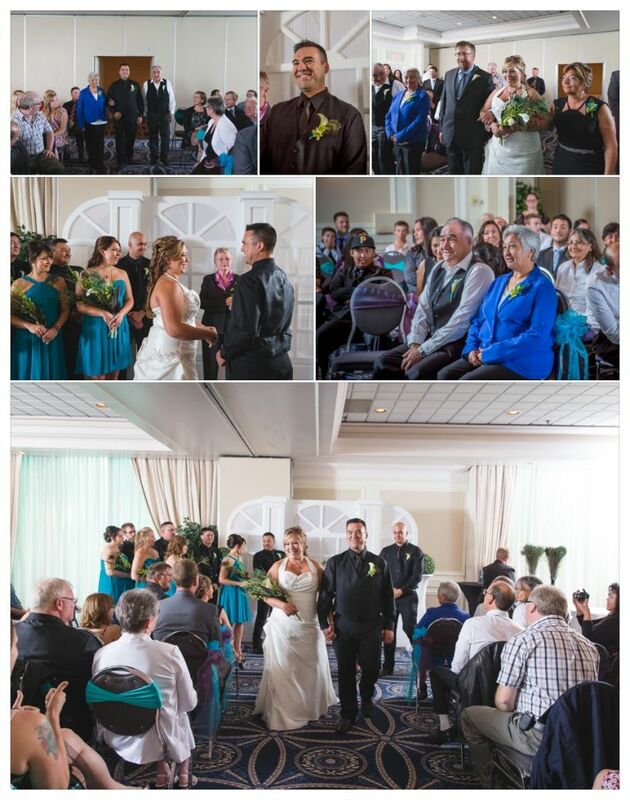 Kim & Conrad, once again we thank you choosing us to photograph your wedding. We hope you enjoyed your day and will look back on your photographs for years to come with plenty of fond memories. To be fair we did have a backup plan but cancelled it when we saw how nice pictures with rain were and we hated the thought of an indoor ceremony. We purchased a bunch of cool umbrellas and had arranged for tents and whatnot to be delivered to the ceremony but unfortunately the wind kiboshed that.